James Bailey has developed a successful practice focused on commercial chancery, civil fraud, insolvency and company matters. Regarded as “approachable, very thorough and conscientious”, James is said to have “an exceptional eye for detail” (The Legal 500). 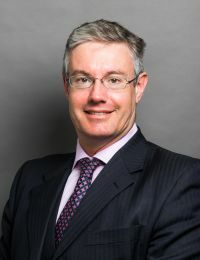 He is also noted for his advocacy: “Strategically strong and pragmatic”, “the impressive James Bailey” (The Legal 500) is praised for his “really attractive style in court” (Chambers UK Bar). James’s experience relates to all levels of court in England. His work also has a significant international dimension including cases relating to the Cayman Islands, the Bahamas, the U.S., Switzerland, Slovenia, Macedonia Italy, South Korea, Hong Kong and Japan. James has been instructed as an expert on matters of English law in courts abroad and his commercial work includes international arbitration. He was involved in the long-running and controversial Thevarajah litigation, which twice came before the Court of Appeal and thereafter the Supreme Court. His cases often include jurisdictional challenges and he is experienced in litigation where the governing law is not that of England and Wales. James’s commercial practice includes a significant amount of fraud work and he is regularly instructed in applications for freezing orders, Norwich Pharmacal orders and Bankers Book Evidence Act relief. He has a substantial insolvency practice which sits alongside his fraud work, and he is regularly instructed in high-profile matters. Historically he has acted for the Cayman Islands’ liquidators of Enron and appeared in the Comet administration. In 2018, he acted for Lawrence Stroll, who led a consortium to successfully acquire the Force India Formula 1 racing team. James is a contributor to Tolley’s Insolvency Law Service. James’s practice also encompasses a broad range of company work, including in particulars claims pertaining to directors’ discharge of their duties to their companies, minority shareholder relief, and just and equitable winding up petitions. He also appeared in the seminal Fort Gilkicker litigation, which established the existence of multiple derivative claims in English law after the coming into force of the Companies Act 2006. An excellent advocate who commands a courtroom; he is very bright and good with clients.